Mixed Blood Majority might be the Twin Cities' most underappreciated hip-hop group. 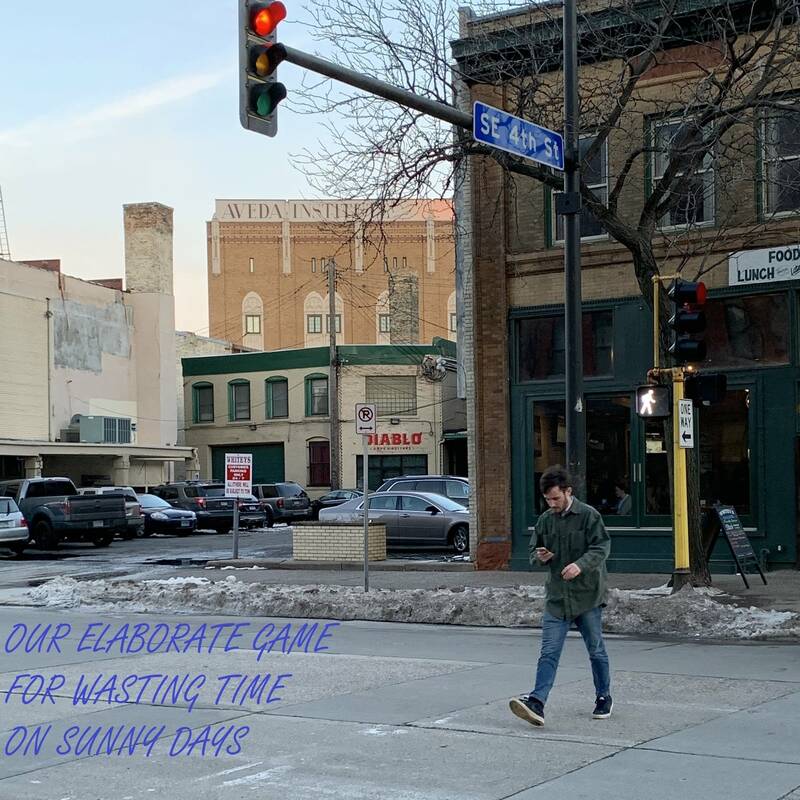 When a group is described as a side project, it might lead you to think that there is something less serious about the underlying message in the music, as if a few musicians needed something to do with their free time between gigs. isten to Mixed Blood Majority's sophomore album, however, and you'll realize nothing could be farther from the truth for this trio. Insane World brings out the best in each member of a collaboration among Doomtree producer Lazerbeak, Kill The Vultures' Crescent Moon (aka Alexei Moon Casselle), and Joe Horton of No Bird Sing. The production is aggressive but leaves space for two rappers whose styles seem to perfectly complement each other. Backed by hypnotic breakbeats, Crescent Moon and Joe Horton trade poetic verses throughout the album to create a cohesive thread that echoes the voices of the frightfully disillusioned. Crescent Moon and Horton rap with conviction but never raise their voices. As you listen to the album, the pressure seems to build as you wait for them to scream at you, but it never happens. The lyrics, "This whole city is a crime scene / Everyone's a suspect if you've seen what I've seen" throws you into a world of paranoia on the lead track, "Insane World." From there, it's a constant reminder that you don't know whom to trust. The line, "Don't believe the hype from guys like us," on "Blinded" tears away any illusion that the listener can decipher the true perspective of the actors in the song. It cuts through the music and directly confronts the listener to think about their roles in the world described throughout the album. No matter how challenging the messages, the production draws you back into the songs. Lazerbeak builds layers of hooks that seem to reappear throughout the album. It makes the voices take on a supernatural quality that you can't escape. Like a graphic novel that suddenly becomes animated, sounds move from front to back and left to right without notice. There are sequences and parts that will only reveal themselves after multiple listens. It's like an invitation to come back and continue to explore their Insane World. 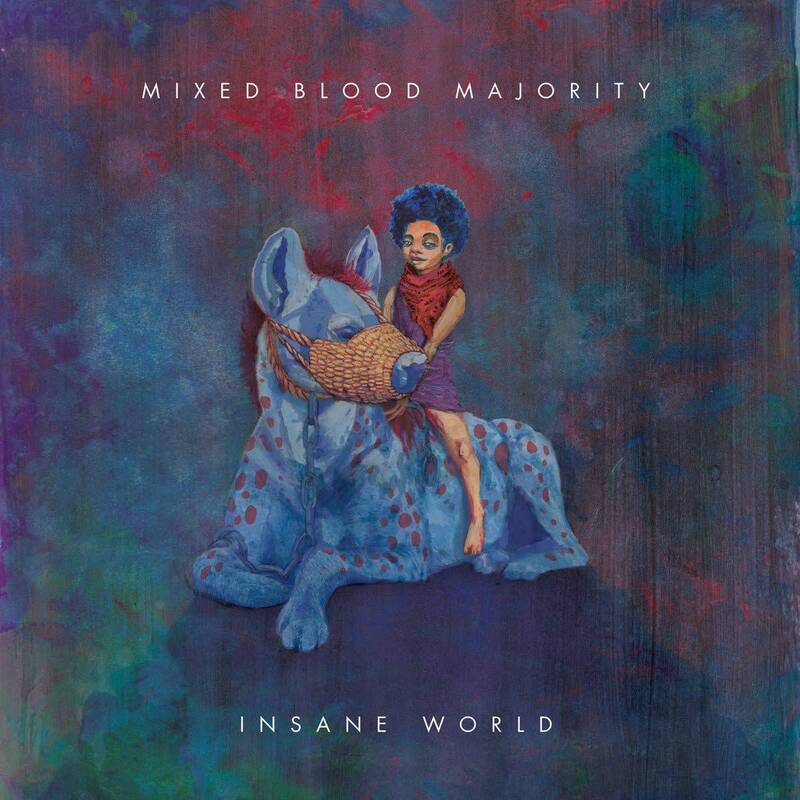 Mixed Blood Majority's Insane World is out now. Mixed Blood Majority perform in The Current studio Following the release of their album <em>Insane World</em>, Mixed Blood Majority's Crescent Moon, Lazerbeak and Joe Horton stopped by The Current to perform live in-studio and to chat with host Andrea Swensson of <em>The Local Show</em>. Mixed Blood Majority performs in The Current studios Mixed Blood Majority may be a new act, but the faces are familiar to Minnesotans. The trio consists of Joe Horton of No Bird Sing, Lazerbeak of Doomtree and Crescent Moon of Kill The Vultures. The new collaboration brings the best of all their projects into a cohesive collective, challenging listeners to embark on a hip-hop journey of styles throughout the years.